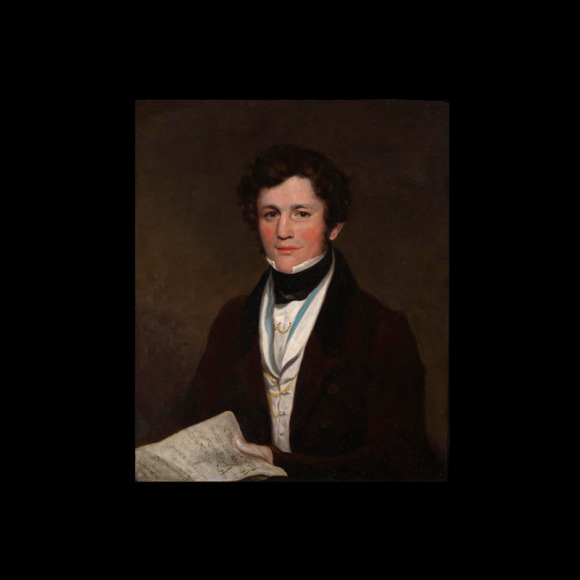 Henry Bishop, whose music was extremely popular in the mid-nineteenth century, is a name that today really only resonates with music cognoscenti. He was however the first musician to be honoured in England with a knighthood and his musical setting for the popular song Home Sweet Home will ensure that his reputation lasts. Bishop was born in London and having a natural talent for music began composing as a teenager. By his twenties he was fully involved in London’s theatre world. 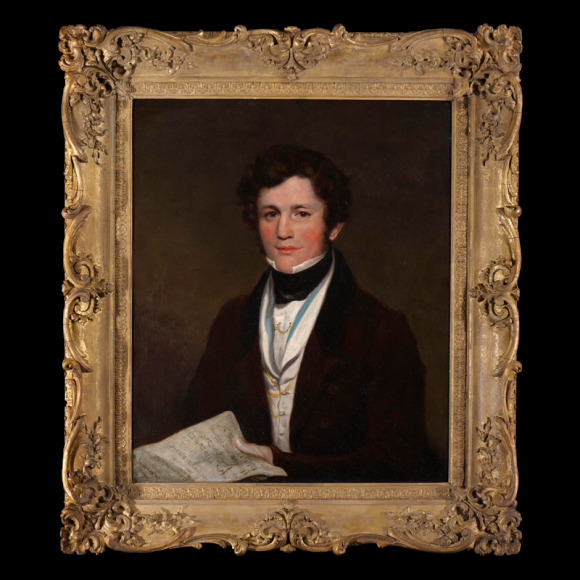 Between 1810 and 1835 he had written numerous works ; operas, musical plays, musical entertainments and melodramas. Much of his music has been lost, but it is probable that most of these had more in common with today’s ‘Musicals’ than with the full-blown 19th century continental opera tradition. It was his 1823 opera Clari – or the Maid of Milan that brought him fame. 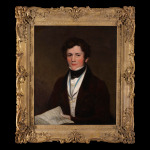 With a libretto by the American John Howard Payne (1791-1852) this contained the enormously popular song Home Sweet Home. Seeing an opportunity later Bishop re-issued this piece of music as a parlour song in 1852, and its fame grew internationally. Perhaps on account of its American author Payne, the song was taken up wholeheartedly in the United Sates, and by the time of the Civil War it was hugely popular with both sides. It was said to be a favourite of Abraham Lincoln too, although it is also recorded that some Union generals banned its singing. The fear was that it would generate feelings of homesickness among the troops and encourage desertion. Down the centuries the song (or snatches of it) makes appearances in other musical works and films. It is referenced in Henry Wood’s Sea Shanties and strains of it can be heard in the Wizard of Oz and Meet me in St Louis. Judging by Henry Bishop’s age, this picture is probably painted around 1830. The hand is typically that of a follower of the enormously influential Sir Thomas Lawrence. Lawrence effectively sets the tone for much early 19th century portrait painting and our artist must be one who came under his sway. One or two slightly primitive pictures of Bishop exist, one in the National Portrait Gallery and one in the Royal College of Music. There are three images known of him in print; a mezzotint by Reynolds after Foster, and lithographs by Wageman and Vigneron. 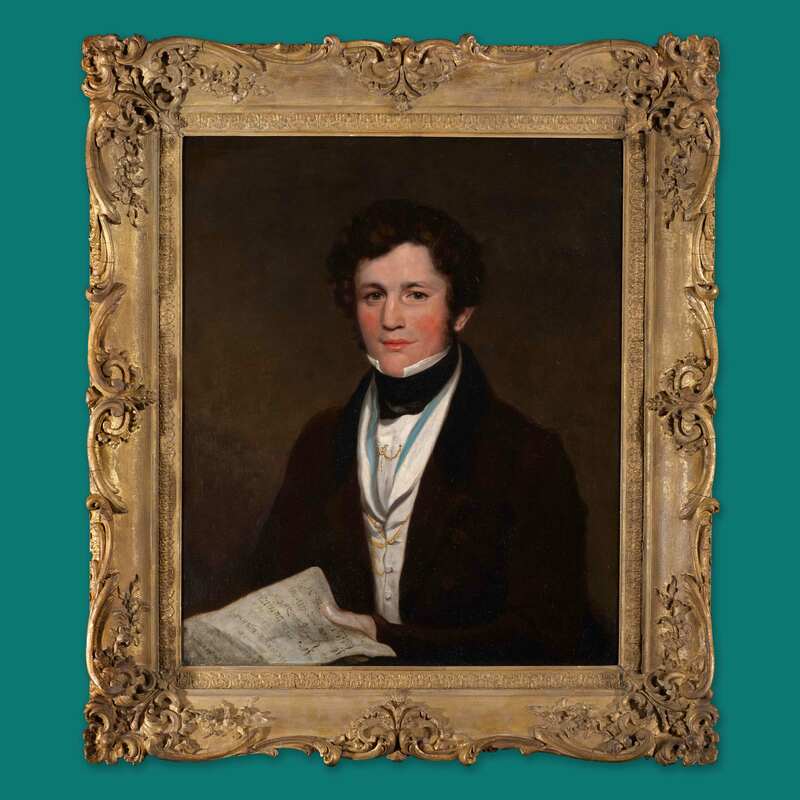 This present picture though is perhaps the most sympathetic of the known images and the inclusion of the sheet music bearing his name is clear confirmation of his identity. The reference to Vauxhall Gardens presumably points to the time that he was musical director at the gardens. He held this post from 1830 to 1833, so we can probably be safe in dating our portrait to those years.